Very Good. Lost Princess of Oz by Baum, L. Frank. ,313p. : ill., 1map ; 24 cm. Includes: illustrations, maps. Intended for a juvenile audience. Originally published: Chicago : Reilly and Britton, 1917. Good. 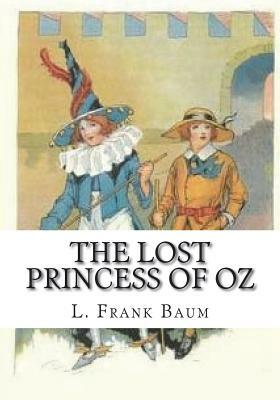 Lost Princess of Oz by Baum, L. Frank. ,313p. : ill., 1map ; 24 cm. Includes: illustrations, maps. Intended for a juvenile audience. Originally published: Chicago : Reilly and Britton, 1917.